You are here: Home / Winter Hats / How to make a knit hat? How to make a knit hat? The knit hat is a round garment used to cover, wrap or decorate the head. 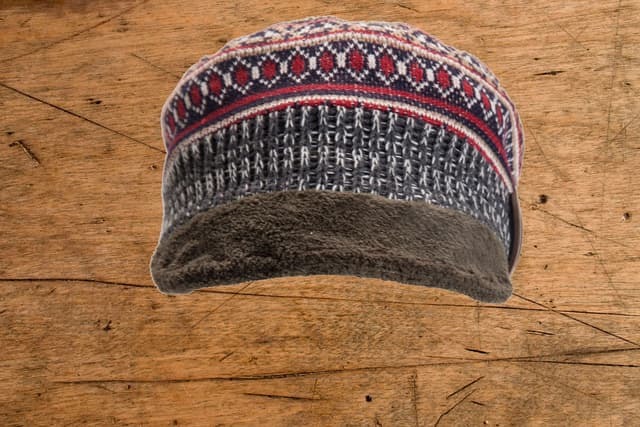 Unlike other similar accessories, knit hats do not usually have visors or wings. A knit hat is designed to provide warmth in cold climates. Typically, the knit hat is simple but there are many variants. Historically, the knit hat was extremely common for sailors, fishermen, hunters and others who spent their days working outdoors. Nowadays, it is still commonly used for this purpose in Canada, Scandinavia and other cold regions arround the world. Today we want to teach you how to make a wool cap, but first of all we should review its history to know what it means nowadays. The knit hat probably has an Asian origin. The Egyptians covered their heads with a cloth headdress called a claf. Also in ancient Persia we can see figures with the head covered with hats or a type of headdress inclined forward keeping many similarities with the Greek hats called Phrygian. The Greeks were the ones who began to use this hats, or frigios, in Europe, although they did not use it much because people used to go bareheaded. During the Imperial Rome ages, the hat was used as a badge for barbarian warriors. The variety, shape and applications of this hat increased during this period in comparisson to the Greek period. Even so, the so-called pilleus or petasus was only used by people in the village working outdoors and also by distinguished people to wear during cold weather. During the Middle Age, germanic people implanted a suit which incorporated a cap or morterete imported to Spain by the Visigoths. Then men and women began to use them. In the sixteenth century, women began to wear high bonnets or caps, and they also wore on top of the scofierta or capillo the square cap of cloth or velvet. During the time of Lewis XII, men used to wear a cylindrical hat or beaver cap with a doubled back with a medallion in it. This fashion of the hat that came from the Germanic peoples also brought hoods, papahigos, caps with feathers and cameos, bonnets or black velvet toques with rings and buttonholes and tudesco hat, chapeo or cartes of carters and travelers on foot already used in the average age but less elaborated. Some of these hats are still used in some areas of Europe such as the Austrian Tyrol. Little by little the hat began to pass more unperceived as the hat that began to take fame among the well-to-do people of the late sixteenth century. 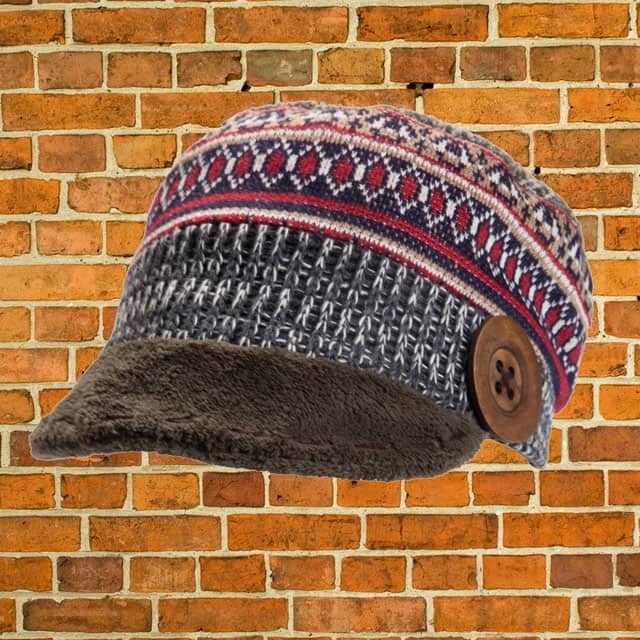 Woolen hats are common in cold climates and they are worn around the world in various ways. They have become the common complement for stevedores and stereotyped sailors in movies and television. Famous media figures have also used it. Some examples are Michael Nesmith of The Monkees in his television serie, Jay in the films of View Askewniverse, Robert Clothier in “Relic” in the Canadian television series The Beachcombers and the character of Hanna-Barbera Loopy of Loop. Also in animated series like South Park, Eric Cartman and Stan Marsh used to wear knit hats. In the world of music, we could discard the guitarist of the Irish band U2 who is also known for wearing a knit cap during his interviews. Tom Delonge, former guitarist and vocalist of the punk pop band Blink-182 is also known for wearing a knit hat during his live concerts. Other famous musicians who have used and used it are Rob Caggiano, Lee Hartney of The Smith Street Band or Daniel Powter. During the 2000s and 2010s, the knit hat was still popular with many celebrities wearing it like the American rapper Eminem. In sports, knit hat is also linked to the cold weather and environment. One of the most notable bearers was José Théodore, Canadian hockey goal keeper who used it above his mask during the 2003 Heritage Classic (played at temperatures below -15 ° C). Santa Claus is often shown wearing a knit hat following the typical Scandinavian-style knit cap with a pompom, a trait he has inherited from the Germanic / Scandinavian tradition. The Scandinavian tomte is also usually depicted with a red knit cap, a hat that is also used as a national symbol (sometimes negatively) in Norway. There is a traditions in the South American Andes mountains. Their hat has earflaps, with ropes to tie under the chin. A special type of cap called a balaclava is folded over the head with openings only for the face or for the eyes or the mouth only. Most knit hats are conical at the top. The stretch of the tissue itself embraces the head, keeping the lid secure. Sometimes they are covered with a pompom or loose tassels. Woolen hats can have one wing folded, or none, and can be worn at the head or loose at the top. Some modern variants are constructed as a parallel-sided tube, with a drain chain closure at one end. This version can be used as a neck warmer with the drawstring loose and open, or as a hat with the pull cord tightened and closed. Hold the wool comfortably with your thumb. Wrap the wool behind your index finger and in front of your middle finger. Then, behind your wedding finger and around your little finger. Then, in front of your wedding finger, behind the middle finger and around the index finger. You have to do it again. Wrap the wool in front of your middle finger. Behind your index finger Then around your little finger. In front of the wedding finger, behind the middle finger and then around the index finger. At that time you will have two loops on each finger. Now you need to pull the bottom loop up and over the top loop. On all fingers, so you have a loop on each finger. Then it starts again. Keep repeating these steps until you have a long enough piece. Enough time to wrap your head. The next step is to connect the piece to form a circular shape and thus be able to form the hat. Continue weaving by connecting the fabric as you do it. Little by little, the cap will go up in height. Now let’s connect the two ends together. Pass your thumb through the crest on the back (the crest is the back and the back is the front). In front of the side furrowed towards the center, make sure not to twist it. Connect the two sides by hooking your little finger on the lower loop and the upper loop on the end of the piece of wool. Now you have three loops on your little finger. Then begin to weave again and when you start to pull the loops of the finger, on your little finger, pull each loop up individually. Leaving a loop, give it a squeeze by pulling on the wool. This stage is similar to the last step. Hook on each loop along the crest of the piece of wool with the little finger. With two loops hooked on your finger, simply start weaving again. 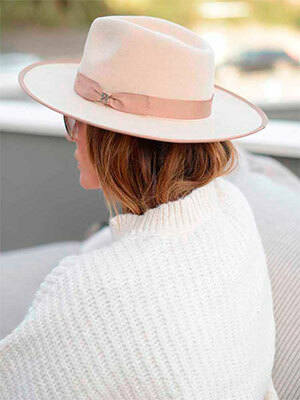 Repeat this process so you will add more rows and height to the hat. This time we just need to get hooked in a loop. Find your next loop and hook your little finger on it. Then knit another row on the little finger. Pull each loop individually to tighten. Find your next loop and connect it. Knit another row on the other side. Keep knitting until the hat covers your head. Remember to keep trying the hat to get the right size. If you make it too big, it will not do you any good. In the next stage, you will see how to decrease the size of the hat to form the dome shape of the top of the hat. In this stage you will make the upper part of your knit hat. We need to start decreasing the size of this one. This time you must collect two loops. So you have three loops on your little finger. Then he begins to weave another row. Continue repeating these steps until the top of your hat is almost closed leaving a small gap. At the end, release your fingers and close the top of the hat. Step 5: How to decrease and finish the hat. Begin to release the fingers. Pull the first loop and place it on your index finger and pull the bottom loop up and over the top. Do it with all your fingers until you have one. Then pull the wool through the last cycle. Take a pair of scissors and cut the ribbon. To close the upper part go through each loop in the upper part keeping it nice and tight closing the upper part completely. Make sure you keep pushing. You have to tie a knot in the wool to finish making your own knit hat. To finish with this article about knit hats, we are going to tell you a very curious story that took place recently. Many people were the ones who launched and decided to wear the pink wool cap during the demonstrations that took place throughout the country. Krista Suh and Jayna Zweiman, a comedy scriptwriter and an architect who likes to weave in their spare time, had this original idea. Why do not we fill the march of women with pink knit hats? Why do not we create a website so that everyone can knit them at home? This is how “The Pussyhat Project” was born. A website with free material for women and others attending the demonstrations to know how to make a pink wool cap and participate in the protests to give color to their complaints against the president. Jayna, in charge of the initiative, said that they calculated “having woven more than 100,000 hats.” Only her partner Krista took 5,000 little hats to distribute for free at the Washington march. Well, now that we’re done, do you think you’re able to make a kint hat? As you can see, you see that you do not need to be a Norwegian fisherman for it, nor participating in a feminist march against the president of the United States. Many people use knit hats nowadays with totally different goals. Cheer up, do not stay behind!